Vermont Paper "Begs" Bernie Sanders Not To Run - Joe.My.God. 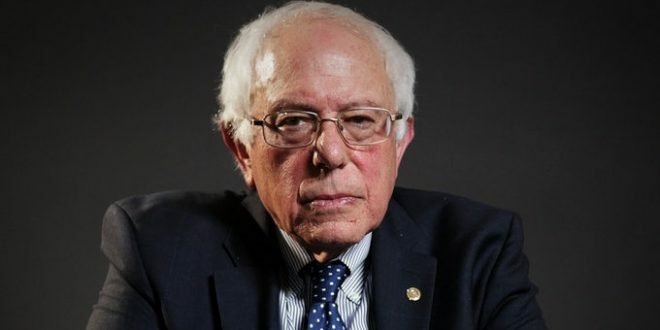 Bernie Sanders should not run for president. In fact, we beg him not to. That is an unfavorable opinion, especially among most Vermonters and progressives who support the platform that has come to define him. But at this point, there are more things about another Sanders run at the White House that concern us than excite us. The 77-year-old can be bombastic and prickly. He can be dismissive and rude in his arrogance. You are either with Bernie Sanders or you are not. That no-nonsense approach and his politics are endearing to many. But it is as extreme, on the other end of the spectrum in its policy elbow-throwing and idealism, as what we face today from the right in their standard bearer, Donald Trump. Taken together — ego, electoral math, a tired message and a prickly media darling — Sanders is convincing himself that he’s the person who can win the White House in 2020. We are not convinced he should. The paper endorsed Hillary Clinton in 2016 in part because Sanders missed many Senate votes affecting his state during his campaign.